View the current clock Speed of a CPU in OS X? Does anyone know of a utility to see the current speed of the processor? To be clear, I'm not looking for the model/speed of the CPU, but rather what the CPU is currently clocked at (i.e. it will reduce speed if it overheats). 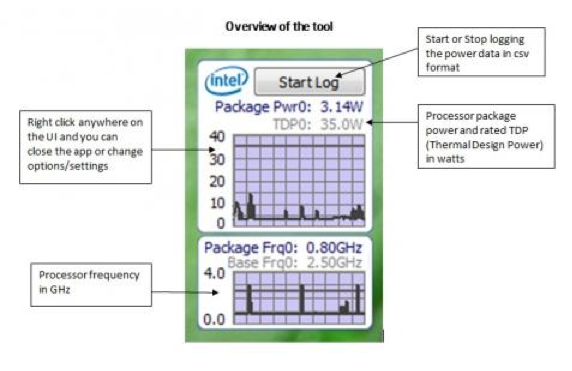 There is a tool that does that called Intel® Power Gadget. 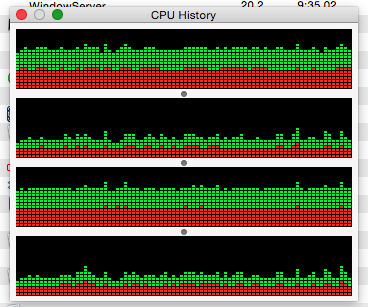 well there are two ways, if you want to see your processor load you can check activity monitor. In Activity Monitor, go to View > Dock Icon > Show CPU Usage. As a bonus, the performance bars are also shown while Option+Tab'ing through apps. It can be set to to always stay on top of other windows too. Not the answer you're looking for? Browse other questions tagged macos cpu . What is the new turbo boost in the MacBook line? How to see which CPU is on the current machine? Using terminal to get current fan speed? How to view CPU clock rate in GHz or MHz? 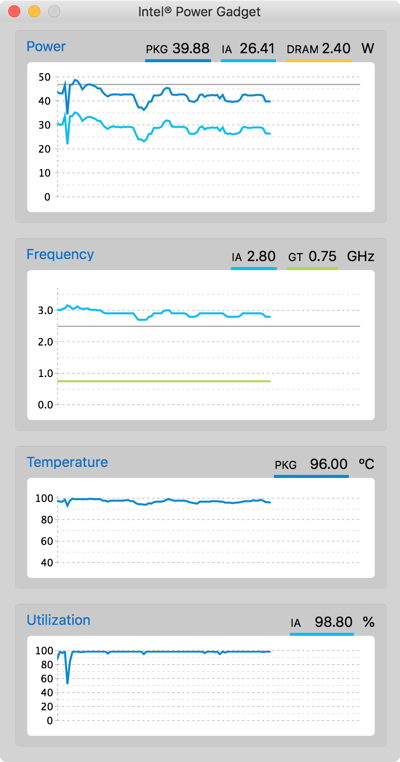 How to monitor and control thermal CPU throttling in OS X?